New Balance and Horween Leathers share more in common than just a love for creating great sneaker collaborations. Both companies take a lot of pride in manufacturing in the United States, too. 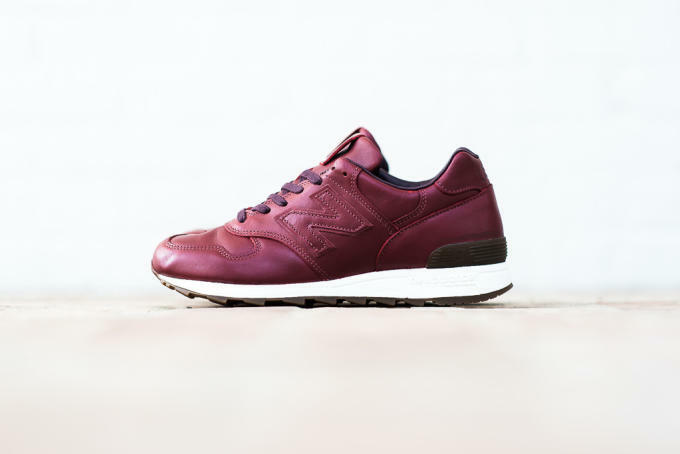 Horween Leathers is one of the oldest tanneries in the U.S., while New Balance is the only major sneaker brand that still manufactures some of its products domestically. The two brands have come together for two more pairs of sneakers, this time the 1400 and 990. This commitment to manufacturing in American not only makes for premium sneakers, but also is reflected in their latest release&apos;s price and location. The 990 ($340) and 1400 ($320) are now available at Sneaker Politics, but the shop is only selling the sneakers in the U.S. The 990 can be purchased here, while the 1400 is available here.